Moderate drinking isn’t a cause for concern in most adults. But when alcohol consumption gets out of control, you may be on a dangerous path towards addiction. The National Institute on Alcohol Abuse and Alcoholism estimates that 18 million Americans have alcohol disorders. Alcoholism isn’t created overnight. It emerges out of long-term alcohol abuse. Knowing the signs and symptoms of each stage can aid you in seeking help before your problem turns into dependence and addiction. The first stage of alcoholism is a general experimentation with alcohol. These drinkers may be new to different forms of alcohol and likely to test their limits. This is a common stage seen in young adults. binge drinking is safe when you only do it once in a while, but this couldn’t be further from the truth. Drinking large amounts of alcohol at one time is dangerous, and can even lead to coma or death. Furthermore, you may become dependent on the feeling and find that these episodes increase in frequency. Drinkers leave the experimental stage when their alcohol consumption becomes more frequent. Instead of just drinking at parties once in a while, you may find yourself drinking every weekend. Regular alcohol use is different from moderate drinking. There is usually a higher emotional attachment to it. A moderate drinker might pair a glass of wine with a meal, while a regular drinker uses alcohol to feel good in general. As increased drinking continues, you become more dependent on alcohol and are at risk of developing alcoholism. Frequent, uncontrolled alcohol abuse eventually leads to problem drinking. While any form of alcohol abuse is problematic, the term “problem drinker” refers to someone who starts experiencing the impacts of their habit. You may become more depressed, anxious, or start losing sleep. You may start to feel sick from heavy drinking, but enjoy its effects too much to care. Many drinkers at this stage are also more likely to drink and drive or experience legal troubles. Alcoholism has two facets: dependence and addiction. It’s possible for an alcoholic to be dependent on alcohol, but not yet addicted to drinking. Dependence forms after the problem drinking stage. At this point, you have an attachment to alcohol that has taken over your regular routine. You’re aware of the adverse effects, but no longer have control over your alcohol consumption. Alcohol dependence also means that you have developed a tolerance to drinking. As a result, you may have to drink larger quantities to get “buzzed” or drunk. Increased drinking has more damaging effects on the body. The final stage of alcoholism is addiction. You no longer want to just drink for pleasure at this stage. Alcohol addiction is characterized by a physical and a psychological need to drink. 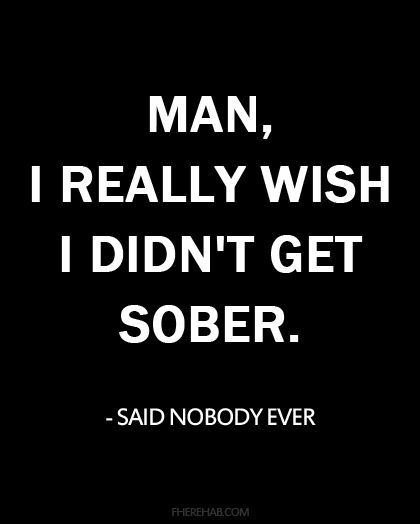 Alcoholics physically crave the substance and are often inconsolable until they start drinking again. Alcoholics may also be addicted to drugs too. Compulsive behaviors are prominent in addiction, and alcoholics often drink whenever and wherever they desire. One of the biggest concerns with risky drinkers is when they don’t think they have a problem. Any stage of alcoholism is problematic. Moderate drinking is the only safe way to consume alcohol, but drinking in general isn’t safe for everyone. Identifying problems with alcohol early can help prevent dependence and addiction. Medical treatment may be necessary to detox the body of alcohol and to obtain a fresh start. Since many alcoholics endure psychological problems, individual or group therapy may help in overcoming addiction. Talk to your doctor if you think you might have a drinking problem. Talk to a loved one. Talk to someone who can understand what you are going through. Great read! I am recovering from unhealthy behaviors, (alcoholism) and really enjoy this blog. Thank you, Victoria B. Prior to reading the article, I did not know that dependence and addiction are different stages. Thank you for the great information. I have a brother who goes to AA and has been sober for nearly a year. I am proud of him. Thanks. Definitely hard to see that you really have a problem while your passing from moderate to problem drinking. Glad I interveined before I hit dependance. What a blessing to have the insight and fortitude to stop in time. Way cool! I used to drink to alleviate my stress. When I became sober, i had to find new ways to alleviate the stress rather than drinking. The points that you mentioned were good. Great read! Thanks so much for sharing! Hi, thank you I found this article very interesting. I did find it a little confusing since you consider all 5 stages to be part of alcoholism, but then talk specifically about alcoholics in stage 5? 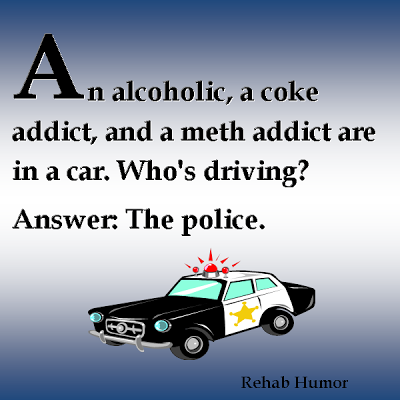 Would you consider someone in stage 1 to be an alcoholic? I think we all did some binge drinking at university, but the vast majority of these people did not become alcoholics. Personally I believe I was in stage 4 before I quit 3 months ago. I don’t really know if I consider myself an alcoholic or not, nor do I think it really matters. What matters is that alcohol caused problems in my life and I needed to stop. PS I would be interested to know where these 5 stages come from? I appreciate your very thoughtful question. I can answer it, based on my personal experience. As an alcoholic, I was not able to stop drinking, once I started. And, I was unable to start away from alcohol for any length of time – not matter what the consequences. Heavy drinkers and people just going through a wild phase (during college) are able to return to normal drinking. They are not alcoholic. Reblogged this on An Engaging Life. Reblogged this on Anna's Place.